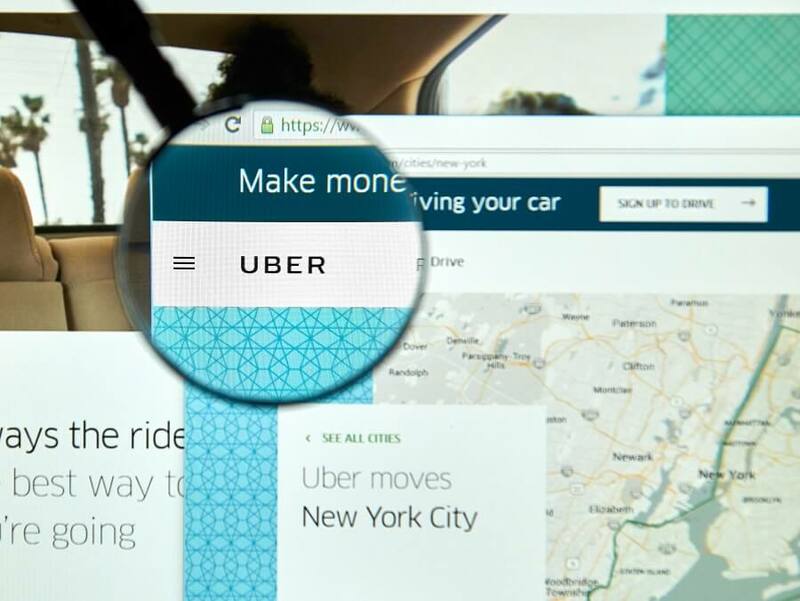 In London, a Federal Court has recently deemed Uber drivers as employees. Uber faces numerous lawsuits across multiple countries and states within the USA, where drivers are fighting for employment status. Already, In California and New York, several individual drivers have been granted employee status. But, Uber is not a unique case. In 2016, FedEx agreed to pay 240 million dollars to drivers that had been misclassified as independent contractors and employers, not just those hiring drivers, are facing allegations that independent contractors should be considered employees. For example, both Walmart and Amazon have been sued over their use of subcontractors to stock their warehouses as those workers stock goods exclusively for Walmart or Amazon. This is a very common employment mistake. One of the reasons is that independent contractors carry much less cost than a regular employee. In addition, there are less controls and fewer laws governing the relationship between companies and independent contractors than there are governing the employer/employee relationship. Hiring independent contractors to perform certain work can have great benefits for employers, especially considering the extensive sick leave, advanced scheduling, and FMLA laws that continue to be passed each year. However, misclassifying employees as independent contractors for the sole reason of saving costs can have significant financial repercussions for employers. The Department of Labor (DOL) continues to investigate and heavily penalize companies who misclassify employees. The DOL estimates that between 10 and 30% of employers misclassify their employees and independent contractors. The purpose of this article is to review what makes the difference between an employee and an independent contractor. Under the Fair Labor Standards Act (FLSA) the DOL identifies several differences between an independent contractor and an employee. In 2015, The DOL issued a statement that it considered most workers to be employees. However, in 2017, that opinion was withdrawn. Even so, there are several factors that determine if a worker should be considered an independent contractor or an employee. First, in the case of a dispute over employment status the DOL or the courts would look at the degree to which an employee’s work is integral to the business. In other words, does the worker perform work that is critical to the business affairs. In the case of Uber, it would be hard to imagine that the company would continue without drivers. An important part of this evaluation is to also evaluate how economically dependent the worker is on the employer. This appears to be a major factor in New York where many Uber drivers drive full time for Uber and get the majority of their income from Uber. Independent Contractors would typically rely on income from more than one company that they do work for. For example, in the case of FedEx, their drivers worked full time for the company and did not drive for any other delivery service. Secondly, the DOL looks at the workers managerial skills and whether or not they play a part in the worker’s ability to profit. As an independent contractor, the worker is considered to be a form of “self-employed” and as such should be able to make decisions that affect the profitability of their business. This can include decisions in hiring other workers, purchasing equipment and other decisions. Third, the degree to which the employer and the worker have invested in equipment and facilities. Workers must make some risk and must share some risk of loss with the employer. Businesses often carry a risk of loss. If like with the FedEx drivers, the employee carries no risk of loss, then this point of evaluation doesn’t apply. Fourth, workers must be skilled and able to be available in the open market to others. For example, skilled employees generally cannot work for competitors. This is one argument that Uber uses to demonstrate contractor status for their drivers; that drivers can drive for multiple gig-companies and not just for Uber. Fifth, workers and their degree of permanency with the employer is another factor. Generally, employees are considered to have a more permanent relationship with an employer than an independent contractor does with the company. Even so, the DOL is quick to state that a non-permanent relationship does not mean a worker is not an employee as many employees still have temporary status with the employer. This point in the evaluation is more to disqualify a contractor from being considered an employee than to move an employee into an independent contractor position. The Degree of Control by the Employer. Sixth, the Department of Labor looks at the degree to which the employer exercises control over the worker. This appears to be a major factor in the courts determining contractor or employee status. In each of the cases that Uber has lost, the courts have pointed to the high level of control that Uber exerts. This ranges from the intense monitoring of drivers, to the rating system, and the requirements that drivers accept at least 80% of the rides while they are on the app. And so, this remains a vulnerability for companies like Uber that do exhibit control over workers even when they provide some level of autonomy. Employers should carefully review their independent contractors to determine if any of those workers should be considered employees. Many companies monitor their relationship with their employees through Human Resources, but fail to identify which division monitors relationships with independent contractors. Employers should identify who is responsible for managing the relationships with independent contractors and ensure compliance with FLSA laws. One of the reasons that companies are often tempted to misclassify employees is because of the additional costs and expenses typically related to employees. However, willfully misclassifying employees leaves the employer open to litigation, reputational risk, and costly fines. Fortunately, SwipeClock software exists to help minimize much of the administrative and regulatory expenses. Businesses often have to comply with multiple conflicting City ordinances defining Sick leave accrual and usage laws.